They're also an investment, costing several hundred dollars, yet this expense pays for itself many times over if you fly a lot because it saves you the trouble of getting boxes for each trip plus you save time packing. 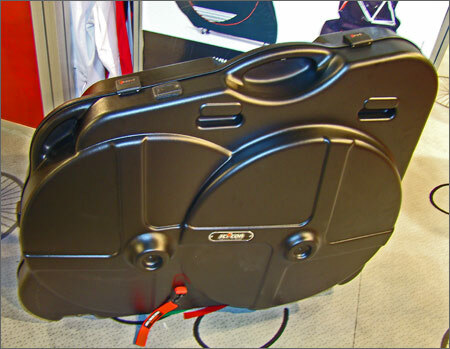 If you don’t fly that often, consider renting one of our bikes cases. Even though you've carefully boxed your bike and made it easy to handle, and even though airlines take surfboards, skis, golf clubs and other exercise equipment for free, they generally charge an "oversize" fee to take bicycles. For international flights you might not get charged. The only way to know for sure what the charges are is to check with the airlines before you travel or ask your agent when you're making reservations.